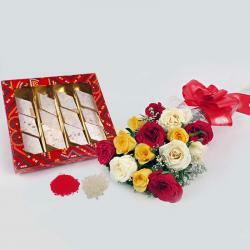 Product Consists : Bouquet of 12 Mix Flowers Like Gerberas and Roses, 16 Pcs of Ferrero Rocher Chocolate, 500 Gms Dry Fruits Box along with Free Roli Chawal. May this year you and your family celebrate Bhai Dooj with even more respect and love for your brother. 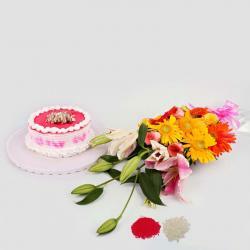 This occasion Jazz up the special celebration for siblings by elating with extraordinary gifts. 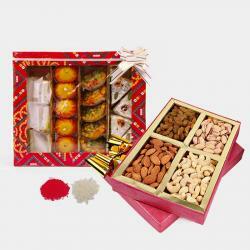 This year, celebrate Bhaidooj by treating your darling brother to nutritive dry fruits and lovely chocolate. 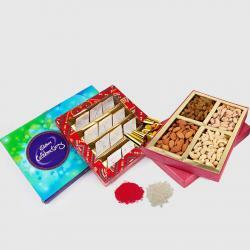 This is an amazing combo comprising of a 500Gms box of assorted dry fruits like cashew nuts, raisins, almonds and pistachios and 16 pcs of Ferrero Rocher chocolate is top quality roli chawal to grace your brother forehead with auspiciousness. Make your dearest brother feel special. 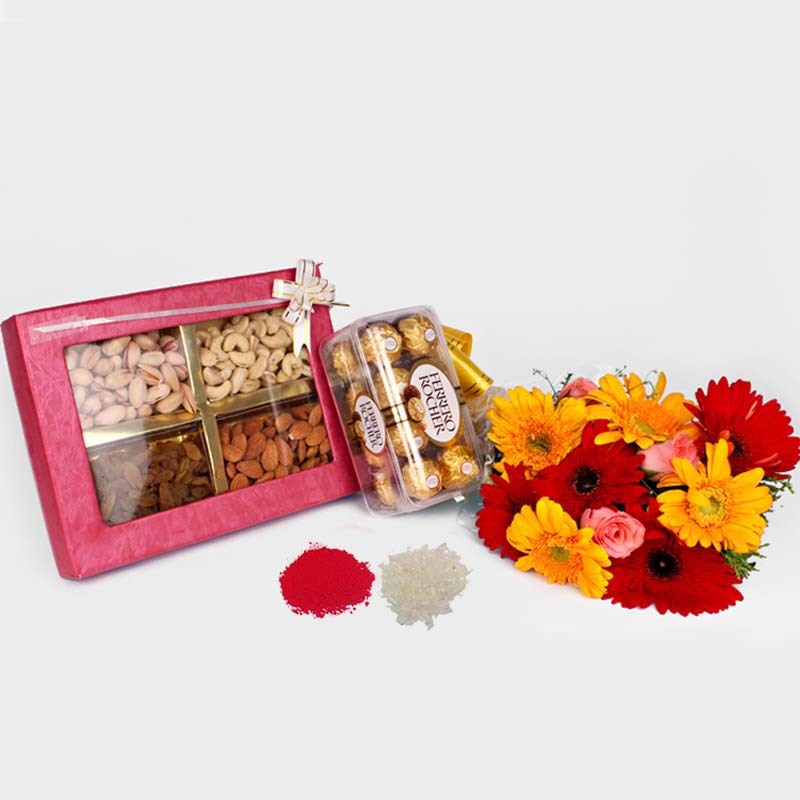 Product Consists : Bouquet of 12 Mix Flowers Like Gerberas and Roses, 16 Pcs of Ferrero Rocher Chocolate, 500 Gms Dry Fruits Box along with Free Roli Chawal.